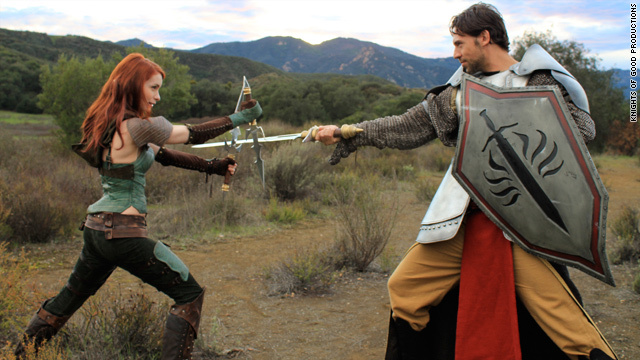 Felicia Day and Adam Rayner in "Dragon Age: Redemption." Can Felicia Day strike gold twice with 'Dragon Age: Redemption'? When video game developer BioWare set out to create a Web series based on its popular role-playing video game "Dragon Age," it went straight to one of the top names in the business. Over the past four years, "The Guild" has gained a strong following (with 100 million views and counting), and its star and creator, Felicia Day – also known for the Emmy-award winning Web short "Dr. Horrible's Sing-Along Blog" – has been referred to on more than one occasion as "queen of the geeks." From an idea (and a show) that basically started in her garage, Day told CNN's Geek Out, "This season we had over 200 cast and crew, with amazing guest stars. We’ve had four seasons; we’re practically grandfathers in this space." Day also credits the show's fans, who take part in "Guild" art contests and the like, as being "a creative community and not just consumers." 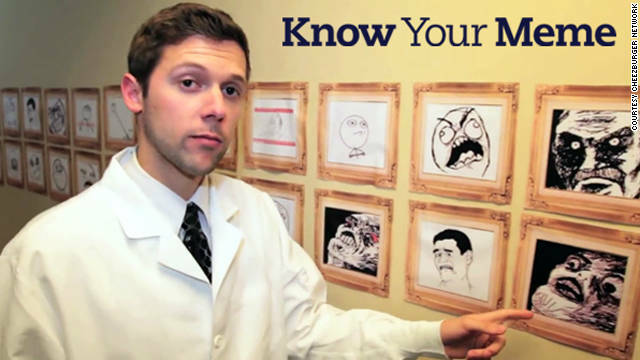 "We want people to think we're scientists - Internet scientists," said Emily Huh, Cheezburger network's editor-in-chief of Know Your Meme, a webseries and database manned by a small group of people documenting memes. "That's why we have the lab coats," she said. "We want to have a lot of information in it and not just have it be a fluff video. We want to be taken seriously." In March, the Cheezburger network (famous for proliferating Lolcats) bought Know Your Meme from Rocketboom, and Huh feels like it's a perfect fit. "I love our other sites where you can have fun with and make your own memes," she said, "but Know Your Meme is great if you want to explain (one) to your mom or to a friend.It shows the nitty gritty of it all and makes (a meme) easy to understand, with examples."